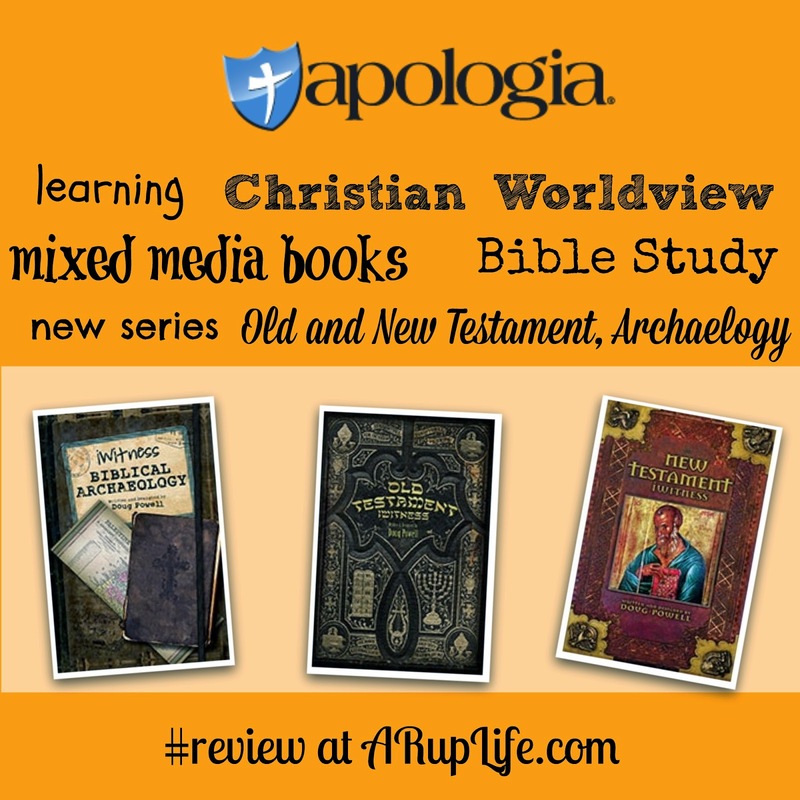 We have been big fans of Apologia Educational Ministries ever since we started homeschooling three years ago. We have been using their science curriculum for three years with great success. This year we are also using their Bible curriculum for our seventh grader. To say I was excited to have the opportunity to review books from Apologia is rather an understatement! 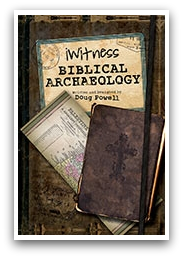 This book digs into biblical archaeology and allows the reader to see the a glimpse into these findings. 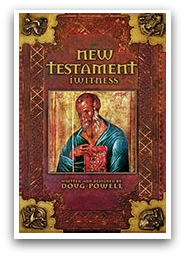 Filled with pictures and facts this book studies events from the Old and New Testament. Do you wonder who the authors were of the New Testament? This book dives into the historical facts behind the forming of today's Bible. Learn how it was copied and how many copies along with many other facts. 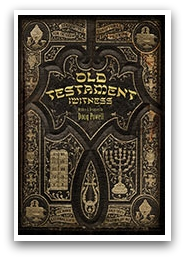 This book explores the Old Testament and bit of the history around it. Taking a deeper look at what we know about how our bible was made. Learn how each book made it into our bible and what books didn't. Each of these books is soft covered. They are written in what I would call a mixed media look. Meaning there are pictures and drawings along with text. On each page the text is broken down into paragraphs each in it's own little section. Each of these books were written and designed by Doug Powell. There are two more books planned for this series being released sometime in 2015: iWitness World religions and iWitnesss Heresies & Cults. I think I will have to check those out as they sound fascinating! Age Range: Reading level is 11+ but could be used for school age and above. Before seeing the books in person I had planned on sitting together during our bible time and reading them out loud. However upon receiving them I realized quickly that wouldn't work as easily as I thought. The books are fairly quick to read with short paragraphs on each page for each topic. For me it worked out for each of us to pick a book of interest and read individually. Then switching so we have all read each of the books. This worked out great for my kids who are 12 and 14. They were able to read their books alone. After reading we would discuss a bit of what we learned. The size of these books allowed for travel to piano lessons - so each of the boys took their down time at lessons to read. We added these in addition to their current bible curriculum. Of course for me as a mom, I read when I could. Grabbing my books here and there. These books are FILLED with information. I honestly could read each several times and still glean more. The boys feel the same way. We love the history we are learning by studying deeper into our faith and bible. The facts, history and pictures included really make these books special. They are just very visually pleasing. My oldest has been very interested in learning more about our history pertaining to Christianity. He has been studying and these books just helped put a lot of information in one place for him. It is an easy read and a quick way to learn more.